Thinking of a romantic beach wedding in a lush, island location? Destination weddings offer the couple the option of hosting their celebration in a beautiful location with family and friends and spending their honeymoon at a luxury beach resort. A stunning location to add to your wedding wish list, is Phuket, Thailand. The crystal clear water is a vibrant blue, the beaches are sandy, and the sunsets are phenomenal. A beach wedding can be simple or as elaborate as you wish. Phuket is a once in a lifetime destination. Nestled between the Andaman Sea and Phang Nga Bay in southern Thailand, a trip to Phang Nga offers impressive views, exciting outings, and amazing traditions. A Letter of Intent has to be filed at your country's consulate or embassy in Bangkok. The process can take up to two days. There are three ways to handle the process. The Letter of Intent has to be translated into the Thai language. The documents have to be registered at the Ministry of Foreign Affairs. When you go to one of the local registry offices in Thailand, your marriage is official, and you can have any ceremony you want. You must have an original birth certificate, proof of identity such as a passport, and proof of divorce if you've been married before. 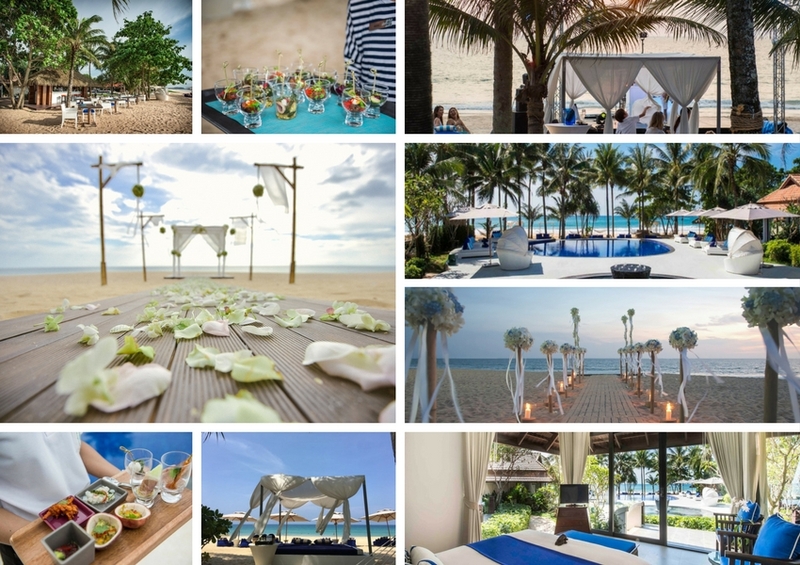 One of the loveliest boutique resorts in Phuket for your dream wedding is the akyra Beach Club Phuket in Phang Nga. When you're exchanging your vows on a tropical beach, you don't want a lot of strangers looking on. One of akyra Beach Club Phuket resorts best features is the private beach or the tropical garden for your ceremony. However, the pristine beach is a beautiful spot for your ceremony, especially at sunset. 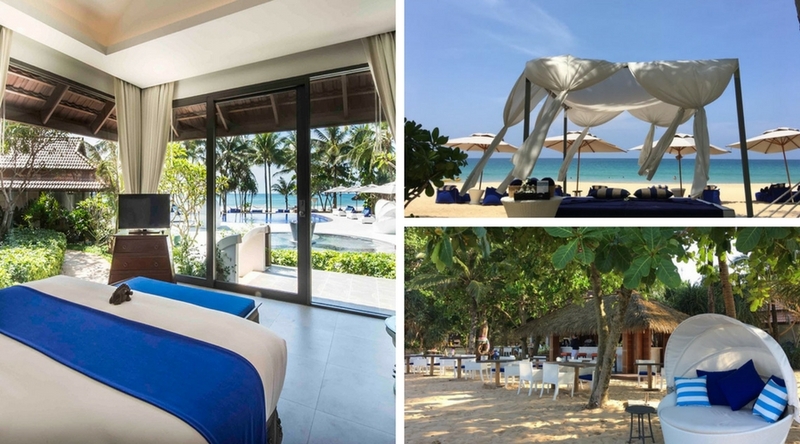 akyra Beach Club Phuket resort is right on Natai Beach, and only 20 minutes from Phuket International Airport. The location of the airport is convenient for family and friends to fly in to help you celebrate your wedding day. This Five Star resorts accommodation features 58 suites and guest rooms, and include Garden Rooms and Villas, Seaview Villas, and Deluxe Suites. The Club akyra beachfront restaurant features oceanfront dining. The lovely Upper Deck features al fresco and indoor dining, and a sumptuous breakfast buffet, all with exceptional views. Why Use the Resorts Wedding Planner? Planning your wedding at home can be stressful enough. When you're planning a beach wedding and reception in a destination hundreds or thousands of miles from home, you won't be able to visit the venues in person. You can't discuss all the details with the vendors in person. Hiring a wedding specialist is the most sensible option. Wedding specialists in Phuket are familiar with the local vendors since they have working relationships with them. They know who the most reputable photographers and florists are, and may be able to get lower prices for you. Another reason to hire a wedding specialist to plan your ceremony and reception is that you can have a package that the resort offers, or you can have the wedding planner customize your ceremony and reception. A wedding coordinator in Phuket is familiar with the celebrants that are nearby and the type of wedding that each of them will officiate at. It's essential to choose the celebrant that expresses your faith and will conduct the ceremony accordingly. Some couples want a traditional Thai service while others prefer a Western tradition; some may want to combine the Christian and Buddhist faiths. One of the questions most couples want the answer to is what the best time to plan a beach ceremony in Phuket is. Phuket has two seasons; the rainy season and the dry season, also knowns as High Season that extends between November and April. Peak Season is January and February. High Season is the ideal time for a beach wedding, but there may be other considerations such as budget or work commitments. During High Season, accommodation, airfare, food, and drink prices are higher than they are in the off-season. However, you'll have pleasant, sunny days. If you don't mind intermittent showers and the occasional storm, you can still manage a lovely beach wedding. Cloudy days still make an excellent backdrop for your nuptials. We can begin planning your ceremony and reception before you arrive in Phuket and our wedding coordinator will keep you up-to-date on all the details by email. Since your marriage is official when it's registered with the Ministry of Foreign Affairs whether it's a Western or Thai ceremony, the wedding service is a formality, but many couples want their family and friends to be present. The Western ceremony includes a wedding planner to coordinate the festivities and a celebrant for the service. An altar with floral decor is set up on the beach. The package includes the wedding cake for up to 30 guests. The traditional Thai wedding ceremony and the Western ceremony are based on 30 guests. If you're having a larger wedding, a surcharge is charged for each additional guest. Local flowers such as lotus and orchids are chosen for the bridal and bridesmaids bouquets unless you plan otherwise. Hair styling and cosmetology services for the bridal party are an option before the ceremony. The resort has a spa so you can treat yourself to a deluxe spa treatment to unwind walking down the aisle. Beverage options include and open bar with beer, spirits, and wine for three hours. If you've already chosen the music you want to be played for your ceremony, the resort offers a sound system for the service as part of the wedding package. Options for the reception include a DJ or a live band. Traditional dances by Thai performers are an option for the reception. At your request and for an additional charge, the resort will provide decorations for the chairs and lighting for the dance floor. We have transfer service to and from the airport for you and your guests, if required. Photography services include pre-wedding photographs, one or two photographers, and videography services to capture every moment of your wedding and reception. If you have family and friends flying in for your wedding, you have the option of scheduling a pre-wedding dinner or party at the resort. The elegant function room has a lovely terrace and can accommodate between 20 and 40 guests, depending on your seating arrangements. The function room is often used for business meetings but is a great choice for a cocktail reception or rehearsal dinner before your wedding. The wedding planner at the resort can help you to coordinate everything so you can spend the time socializing with your guests. akyra Beach Club Phuket offers charming terraced gardens or private balconies with a contemporary decor. The resort offers a beach spa, a state-of-the-art fitness center, and an entertainment room. Recreational amenities include beach volleyball, surfing, and bicycling. The swimming pool offers a swim-up bar so you can sip your favorite drinks poolside. The Upper Deck Panoramic Seaview Restaurant serves traditional Thai and international cuisine. If you're spending your honeymoon in Phuket, the island has cultural and religious attractions, beautiful beaches, live entertainment, and sparkling nightlife. If you love the beach but want to avoid the crowds, Ao Sane beach is shaded by tropical trees and is great for snorkeling. Ao Yon is a small village that's frequented by local on the weekend, but is quiet during the week, and has shallow water. Banana Beach is a lovely, tranquil beach with a restaurant. Nui Beach has a bar and restaurant and activities that include snorkeling, kayaking, and boating. You can scuba dive here, but advance arrangements are necessary. Natai Beach offers all the beauty of better known hot spots but much more. 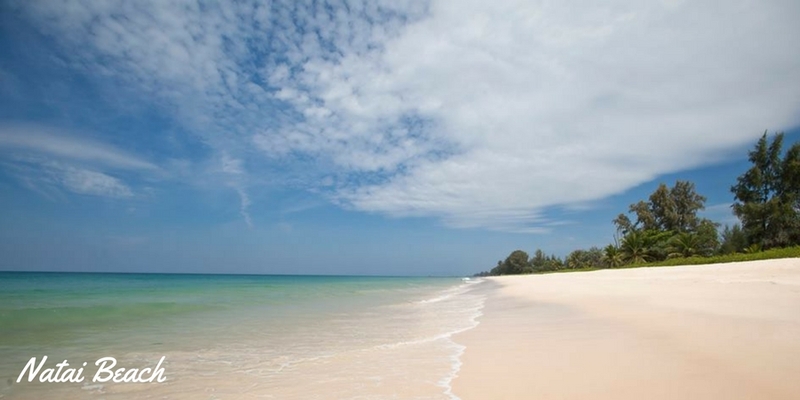 The beach lies along the shore of Andaman Sea on the west coast of Thailand. Its coral reefs are considered some of the best preserved in the world. Just ten minutes north of Phuket, Natai is more than quiet and peaceful, you can literally walks for hours without seeing anyone. 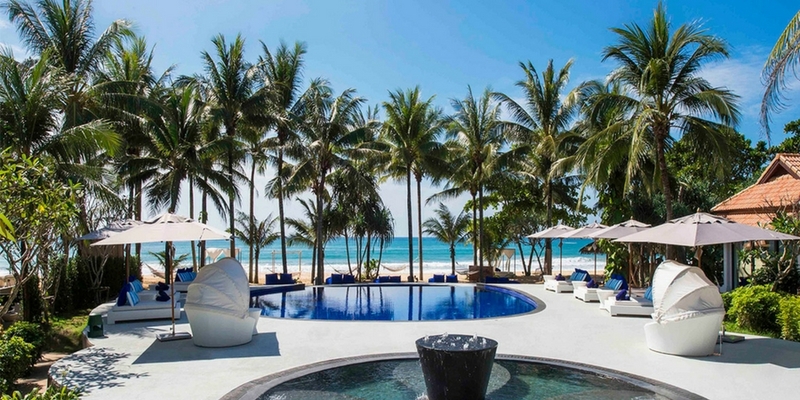 It is a ten kilometer strip of pristine beach, whose government protection ensures that it will retain its isolation from the hustle and bustle of Phuket. Day trips to the outer islands with lunch are an option when you want some quiet time to explore. Specialized tours to Srisoonthron Temple, a pineapple farm, and for animal lovers, Soi Dog Foundation. You can arrange for private tours of the islands or Khao Sok National Park. 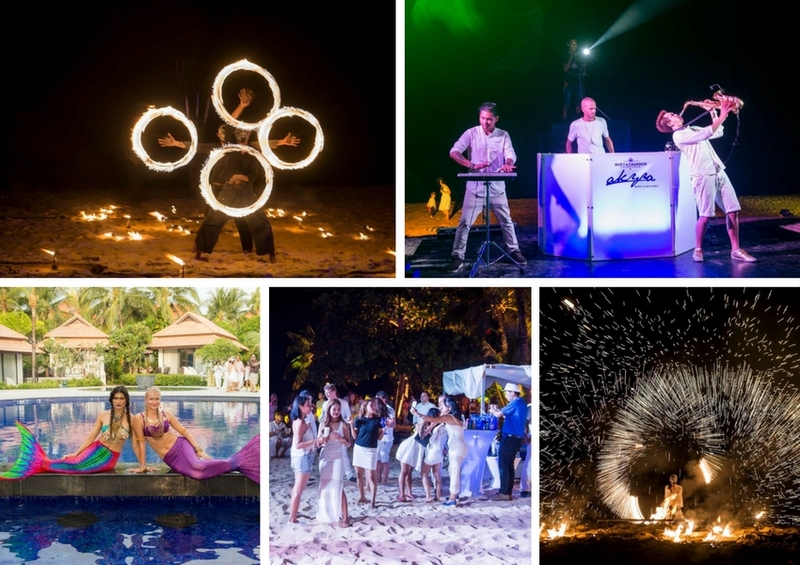 One of the most entertaining performances in Phuket is at Siam Niramit, a large entertainment complex. The colorful, three-act program highlights Thai history. The Quip Sky Bar is the city's first rooftop bar and a great place to watch the breathtaking sunset. The Timber Hut features live shows featuring Thai and international music, food, and reasonably priced drinks. The venue attracts locals as well as foreign tourists. Beachfront weddings at the spectacular resort in Phuket are meticulously planned by our wedding coordinator, so every detail is taken care of. Our onsite planner handles all the arrangements with local vendors to ensure that your wedding is exactly what you want. We can assist you in customizing your wedding ceremony so that it's memorable for you, your family, and friends.